For the past decade, Chef/Restaurateur Nui Kullanna has been serving the greater Phoenixville area the most authentic Thai cuisine around. From the moment Nui emigrated to Southeastern Pennsylvania from her home in Thailand she longed to find flavors resembling the ones she grew up enjoying, but with some style and elegance. 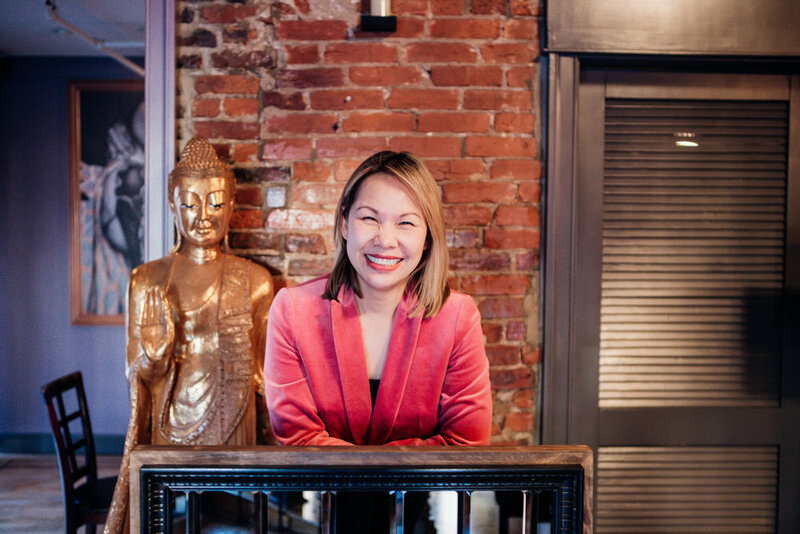 After a few years the opportunity presented itself for Nui to grow this longing into a full fledged restaurant and Phoenixville gave birth to her vision, Thai L’elephant. Combining a higher level of service and a heightened dining experience, Nui took to the kitchen to craft some of the finest Thai cuisine to grace plates of diners, and her community took form around her for ten strong years. Naturally though, with an evergrowing desire to raise the bar, Nui decided it was time to take her concept to the next level. Working in tandem with her husband, local restaurateur and Chef Francis Pascal (Birchrunville Store Cafe), an idea was drafted for Nui Nui kitchen. Centering the concept around heightened Asian cuisine with French twist, a beautiful new bar and PA liquor license, and a brand new interior and design, NuiNui began to take shape. Representing every ideal Kullanna had always hoped to bring to the restaurant scene, Nui Nui would combine a casual, relaxed bar-environment with a fusion of cuisines. Construction began in early 2019 on the idea and NuiNui became a reality. We can’t wait to serve you top-tier food in a friendly, inviting environment, ripe with elegance, culture, and dining experiences you will never forget.